The lips are one of the most influential areas of the face. They are one of the first facial areas that people notice when speaking, smiling, and making expressions. Restylane® is my go-to filler when it comes to enhancing the lips. Whether my clients are looking for added volume, a different shape, or more defined borders, this formula really goes the distance and offers soft, natural results. This clear gel contains hyaluronic acid (HA), a moisture-binding ingredient that hydrates from the inside. HA draws water toward each molecule, achieving the fullness and shape that you want. Your body naturally produces HA, so this ingredient is right at home in the lips, causing your body to provide natural moisture (volume) to the area. In clinical trials conducted by the product manufacturer, filler injections were given at 4.5 and 9 months, and 95% of participants still noticed visible improvement after 18 months. The average time this filler lasts (after one treatment) is about 6-9 months before retreatment is needed. Restylane is also FDA-approved to fill in moderate to severe wrinkles and creases in facial areas such as around the mouth and from the corner of the nose to the mouth (nasolabial folds). This filler is very soft and flexible, which allows it to produce subtle yet effective results. Most patients love this filler because it is versatile and can be used in several different areas, helping them to look naturally refreshed and more youthful. If you’re needle-shy, this family of fillers may be ideal. One of the formulations, Restylane-L®, comes with 0.3% lidocaine in the solution. This substance numbs the treatment area while the injection is being administered, allowing you to be more comfortable. Upon request, a topical lidocaine cream can also be applied to the skin where the injections will take place. Together, these numbing solutions can help even the most fearful person feel little discomfort, if any, during treatment. The FDA released results from a study in which 71.7% of people treated with Restylane-L (with numbing) said they experienced less pain versus those who received injections with Restylane (without numbing). 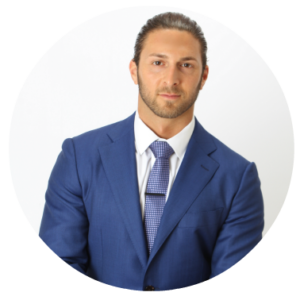 James Christian Sardelli, RPA-C started James Christian Cosmetics over a decade ago with the vision of providing superior injectable treatments at an affordable price. Today, hundreds of clients later, he is one of New York’s top injectable providers. His clientele rave about his gentle touch, friendly bedside manner, and stunning results. Visit James today in Long Island or NYC. Our flagship offices are in Commack and Manhattan, with many additional locations throughout the New York area. Call today at 1-844-iBOTOX-Now Monday-Friday 9-5 or reach our 24/7 Cosmetic Concierge by text at (917) 860-3113. *BOTOX® is a registered trademark of Allergan, Inc. Restylane® and Restylane-L® are registered trademarks of Galderma Laboratories, L.P.